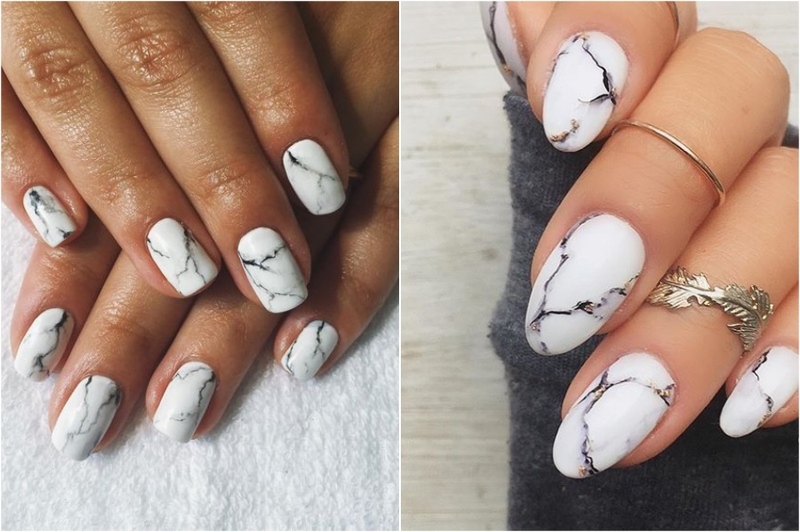 Marble nails are one of the finest nail designs you can get. It's something that sets you apart, but it will not look over the top or childish. It goes well with a casual outfit and complements a date night dress perfectly. It is basically a nail design that is suitable for any occasion and is extremely customizable. 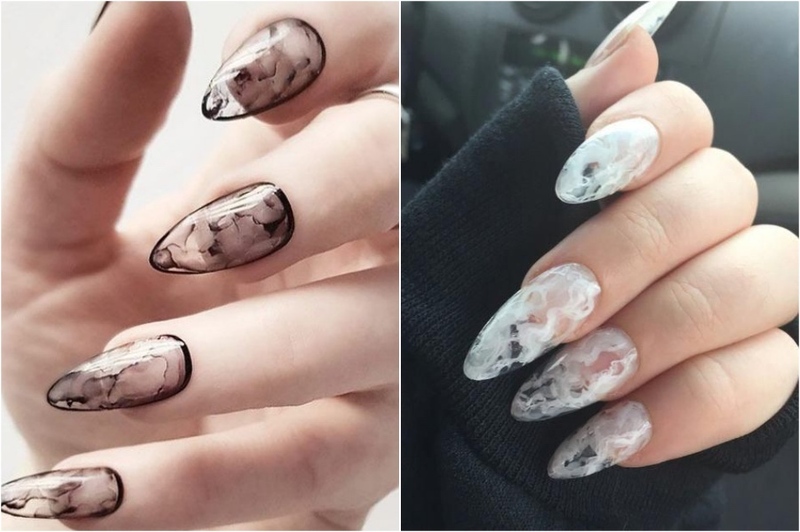 Maybe you think there are few ways to make marble nails, and so do I. 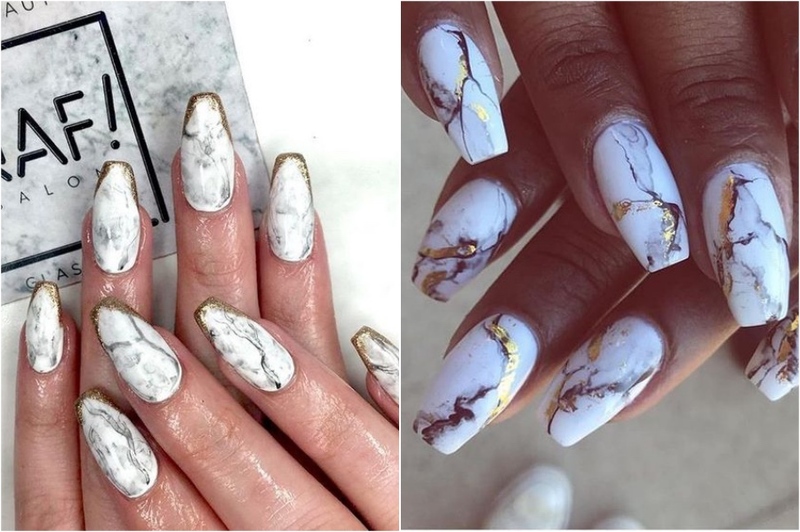 But there are a million and one way to make marble nails, and all are so beautiful. 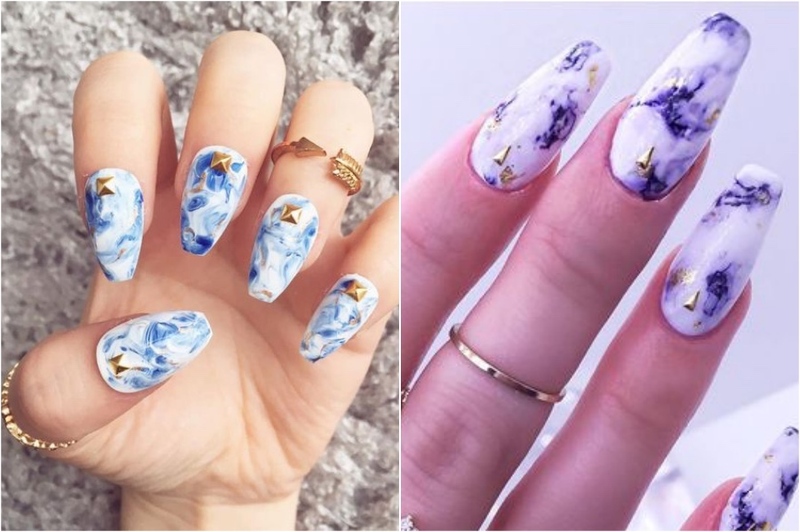 Here are 17 marble nail art ideas that will allow you to look and be inspired this spring. This is the most common combination. 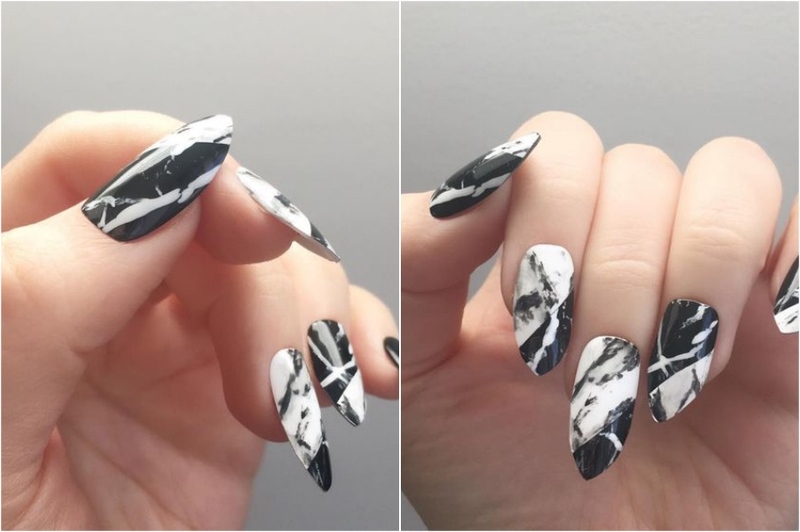 The black and white marble nails look fancy, expensive and are very cool. 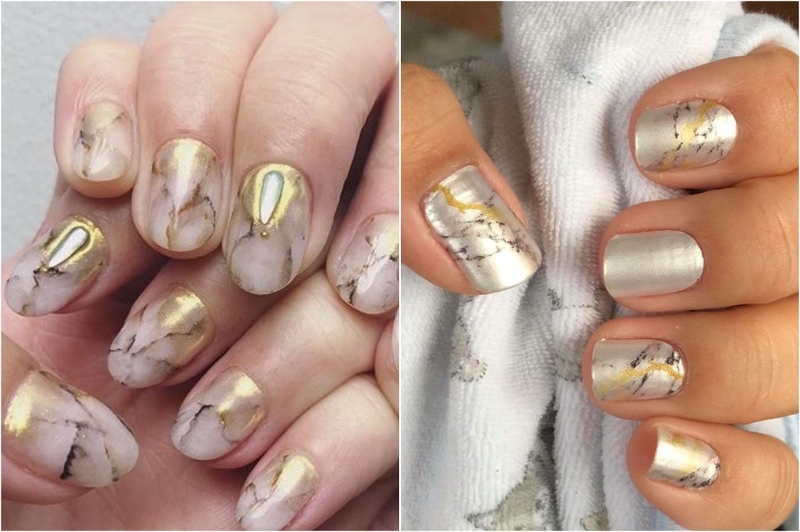 Marble nails with golden details are definitely a good choice for a fancy event or a special occasion. I think about weddings, birthdays, graduation parties etc. 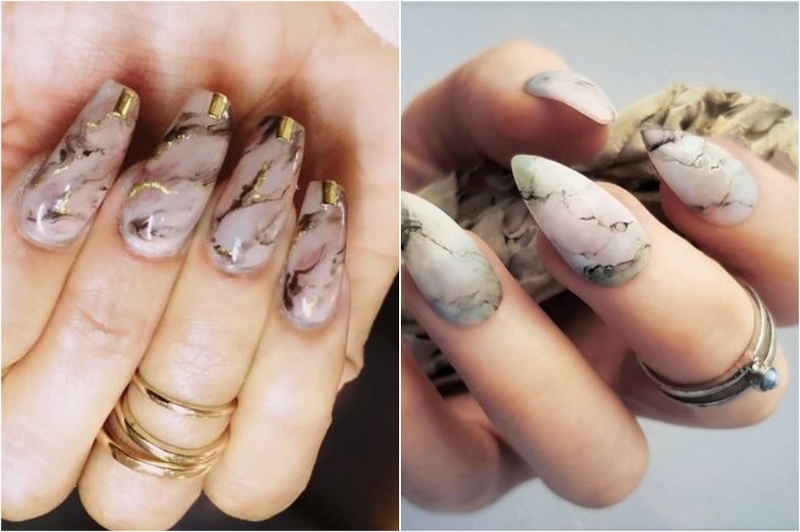 This is a pretty rare find, but I think Marble Nail Art with a matte finish looks very nice, but is still unobtrusive and cool. 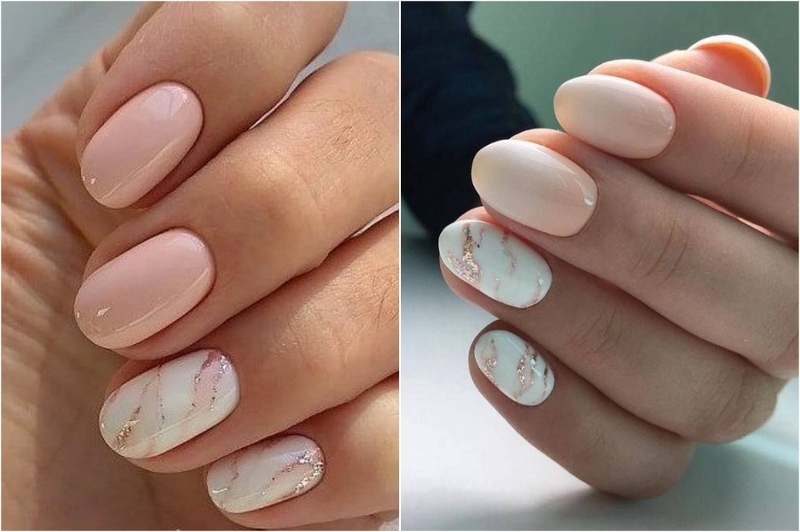 If you want to make marble nails a try, but tend to stick to your nails, you should definitely try this variation. Pink marble looks very natural and very beautiful. Gold stripes in otherwise white marble nails look very delicate and give the overall impression a little treat. 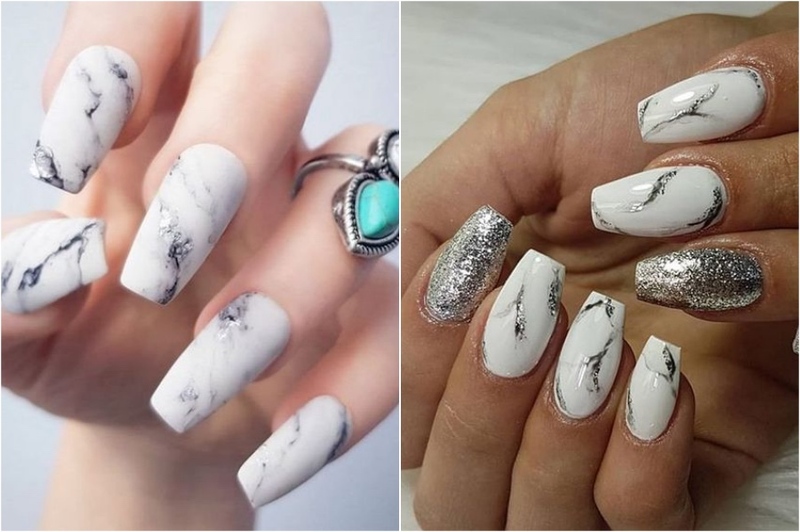 If you're not a fan of gold, I'm glad to say that silver looks great on white marble nails too. A good choice for those who prefer silver jewelry. 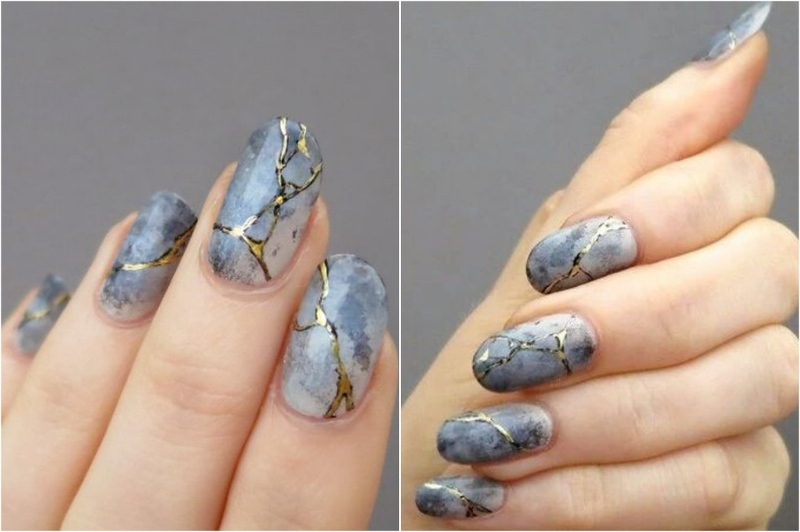 You can even make some blue details in your marble nails and add accents if you want. This particular design looks very summery for me. I definitely tend to choose black nail polish if I can not decide on a design. 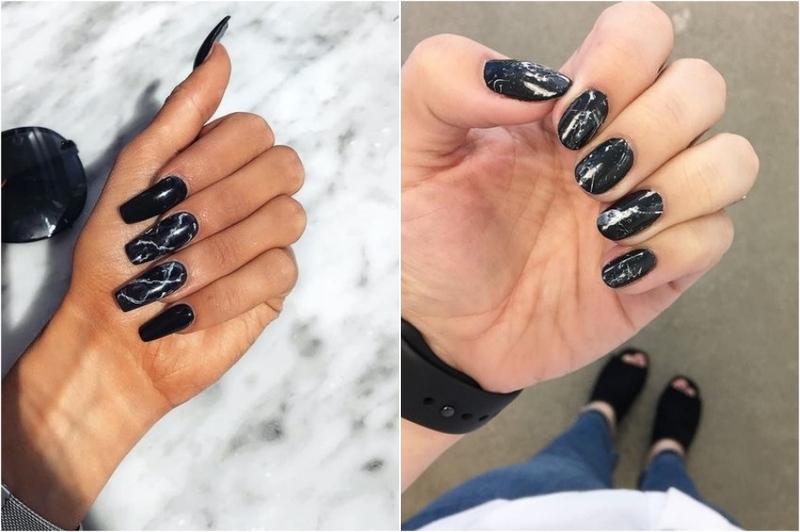 After seeing these black marble nails, I think this will be my new favorite. These marble designs are not only very beautiful and detailed, but also the colors in them are neutral enough to match outfits of any color. 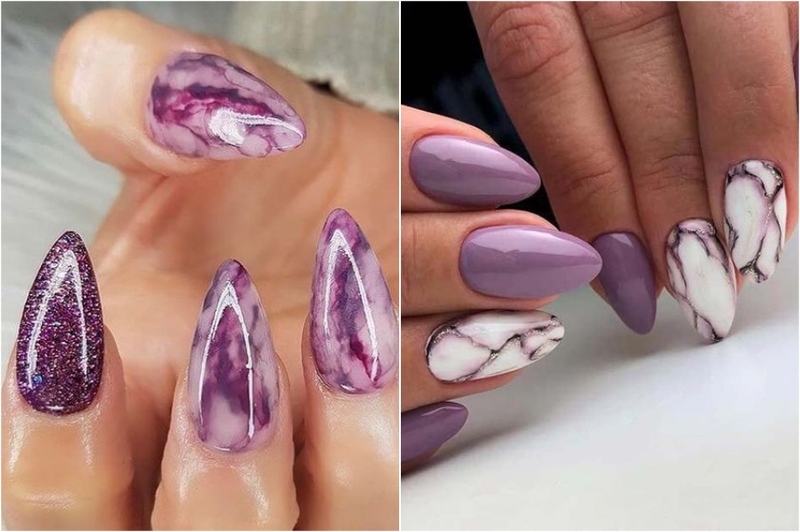 Purple can be quite loud, but in this marble version it looks very soft and perfect for spring, do not you think? 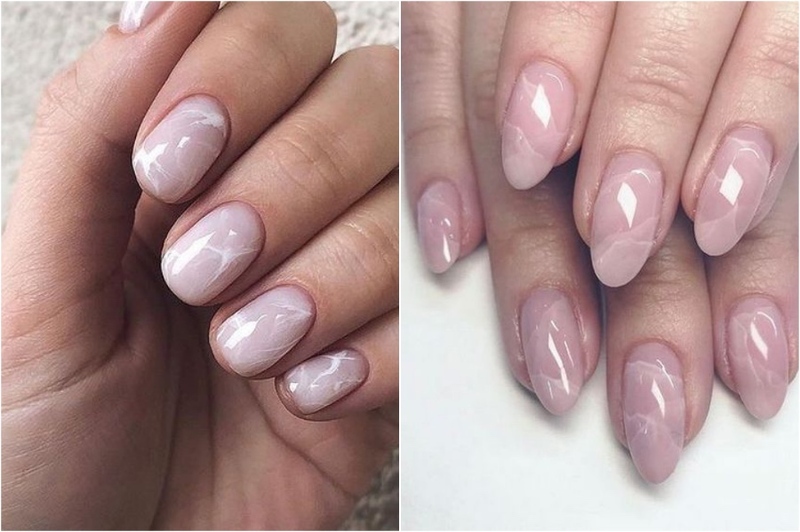 Perhaps the most beautiful marble nail design that I have found so far. 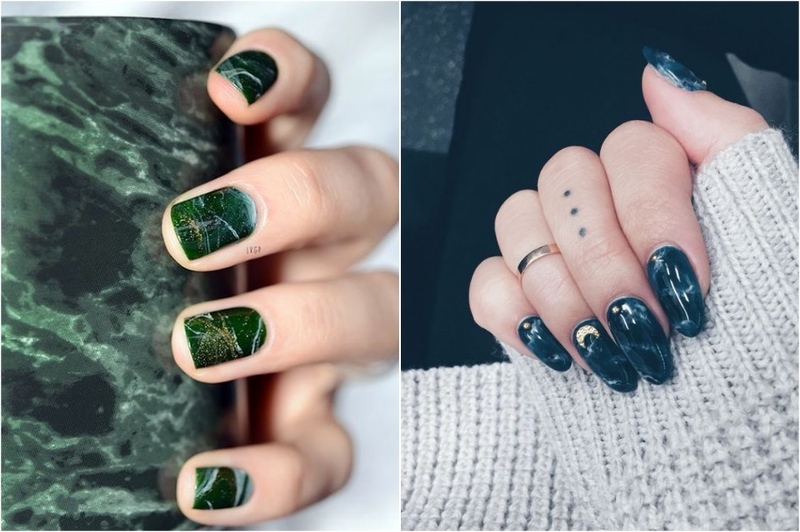 The marble effect appears transient and strange on green nails. 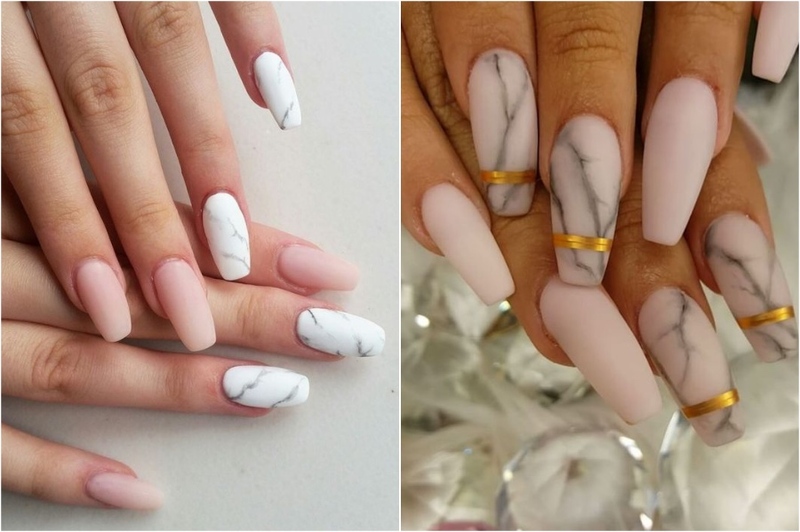 There is a reason why white nails are considered classics for the summer, and I think that white marble should also become a true classic. A beautiful combination of pink and rose gold, which will look great with a spring picnic or a fancy wedding. 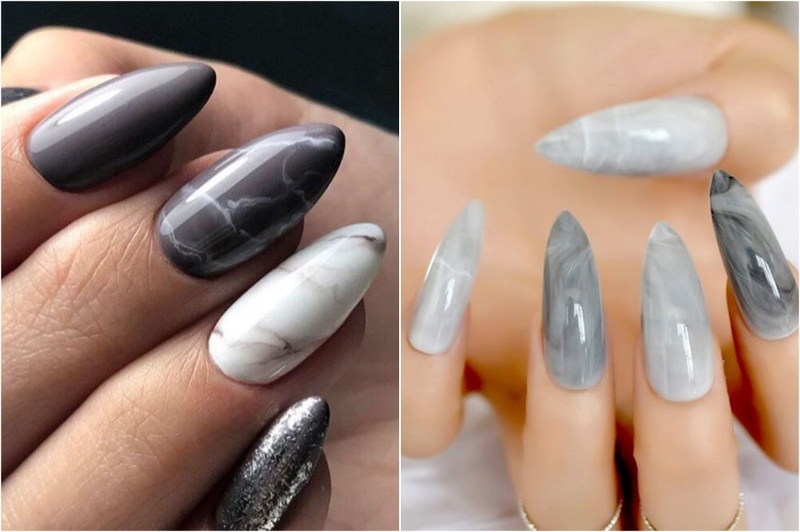 If you want a nail design that suits everything, but looks bad at the same time – gray marble is the way to go. 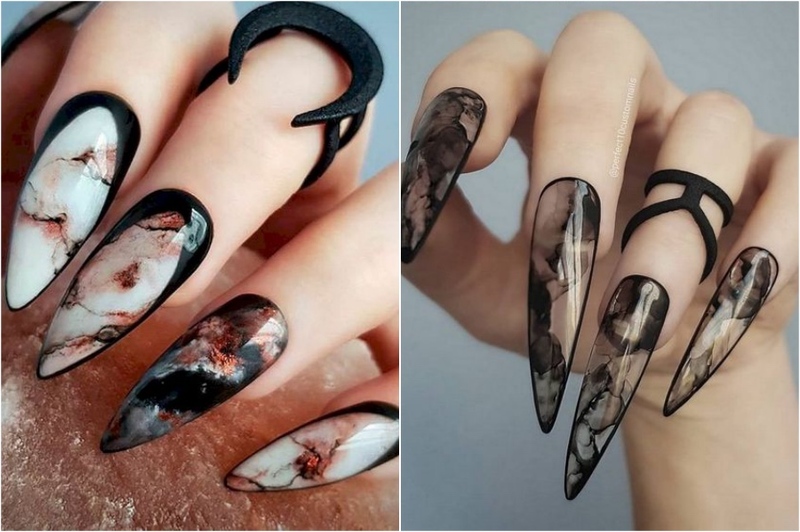 The length of these nails is very impressive, I agree, but also the complicated marble design. I do not think this can be done at home, but it's definitely one of the pictures you want to show your nail artist. Is it just me or does this combination of blue and golden marble remind you of fairy tales and elves? It's just so elegant and dainty that you can not feel like an elf princess. You can probably do this with other colors, but I thought I would present the classic black and white options. The marble effect looks stunning on a clear base.